A razor-sharp profile perfect for detail work, this lightweight carbon steel paring knife with mustard finish from Don Carlos Andrade is just plain fun to cut with. Thin and lightweight, the blade measures a full 3.5", making it a small knife that can take on a range of tasks. 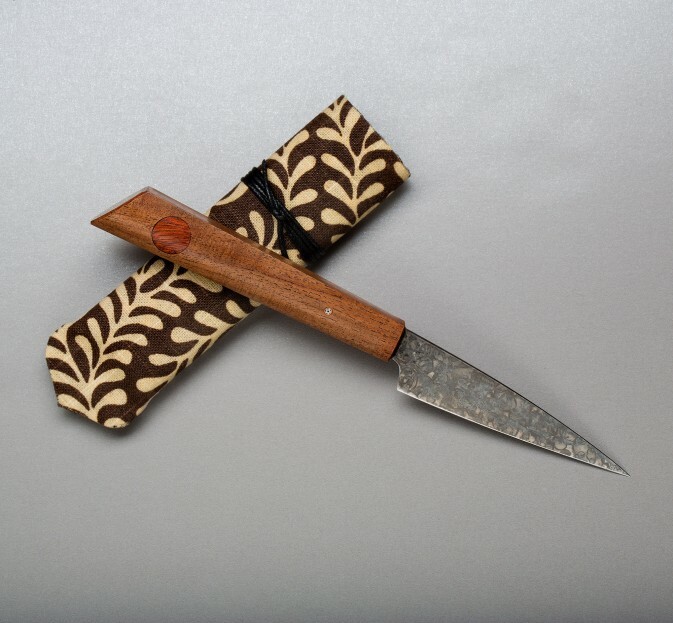 The mesquite handle with bloodwood inlay and mosaic pin are shaped by Don in his signature profile. A few of these stick-tang paring knives have appeared on our shop, and this is the first with the mustard-finished 1095 blade from Don. Always made by hand, Don's knives are products of not only his blacksmithing and sculpting background but his culinary training as well. 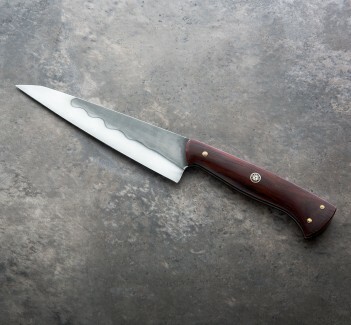 Even the simplest in his range of knives are in a class of their own. 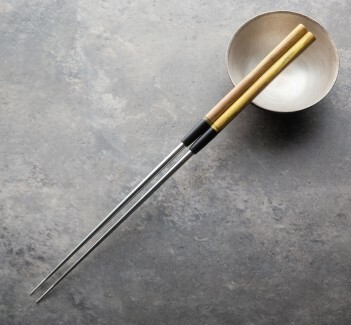 1095 carbon steel with mustard finish. Mesquite handle with bloodwood inlay. Received the two paring knives that I ordered this morning. 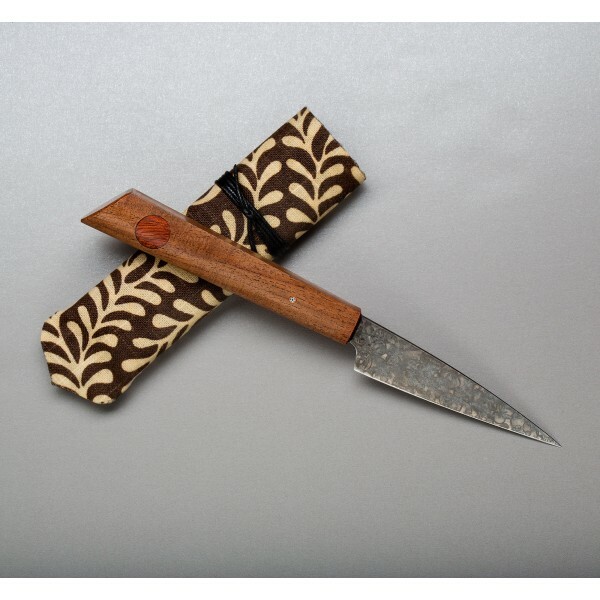 They are truly beautiful, particular Don Andrade's paring knife. very much appreciated. Keep up the good work!